HomeDo You KnowDo I Really Need to EJECT USB Drives? Many time you noticed the little icon of USB in windows for "safely remove drive" right. Here the question is what actually it does? Do we Really Need to Eject USB Drives? However, what does it mean to “safely remove” a USB drive? So, this article helps to solve your question, "Do I Really Need to EJECT USB Drives?" Many users are not using this feature, even I also don't use this feature but when I know what actually happens when you do not Eject your USB drive then I always use eject pen-drives before removing from the USB port. Safely remove your hardware feature available in most of the Operating system and it ensures no data corrupted or lost after removing the drive. Therefore, most Operating systems recommends the user to safely remove the hardware before yanking them out. However, new hardware is OK to remove your hardware directly without following this process. 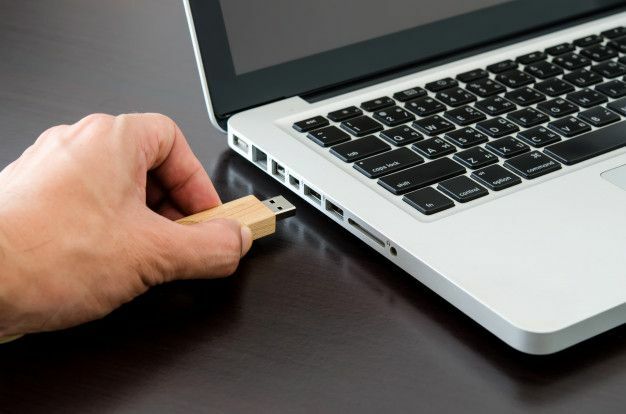 Because modern computers and drives can get their pen drive out of the computer without following this process because it can prevent data corruption using the write caching process. This process boosts performance while data is copying to your drive or pen-drive. This feature fasts your work. By default, this feature enabled in Linux and Mac but it's disabled for Windows by default. Write caching feature first write data into ram before writing the data into the destination to reduce the user wait time. The machine then finishes the writing data from the cache into an external device in the background. Then telling the OS to safely remove a drive essentially flushes the write cache to the destination drive before notifying the user they can remove the drive. However, transferring write cache to the destination is done in the millisecond. It is difficult to lose data by removing the drive – unless you pull it out mid-transfer. When you pull out your pen drive directly without safely remove, it might possible that write cache still working. So, you can lose your data or may corrupt the drive. But, don't worry about it because of write cache not active for a long time. So, if you directly remove your pen drive then don't fear from data loss. So, wait for a few second is best before pull out your drive. But one more thing, when you insert a USB drive, computer hardware and software interact with new external devices. They are able to communicate with the new device. But if you remove your USB drive directly, then you directly break the connection between them without saying. Additionally, windows use quick removal by default so, data chances of data corruption is less. But, if your data is important and you love your drive then use this cool feature "safely remove drives". It just takes a few seconds, just a few. It may possible cache is not flushed. so, please use this feature.